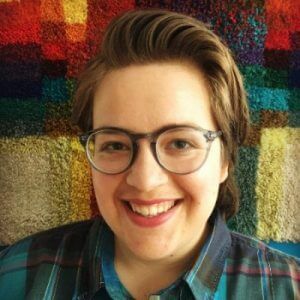 Kate Poole is a leader of Regenerative Finance, a collective of young people with wealth working to shift control of capital to communities most affected by racial, economic and climate injustices. Regenerative Finance is framing investments as reparations, moving investors to shift both capital and power to radically-inclusive, non-extractive, community-controlled funds. She is also a member-leader of Resource Generation, working with the Philadelphia chapter to redistribute land, wealth and power. Kate Poole started her work in the new economy field at the Schumacher Center of New Economics, and went on to work with author Michael Shuman to create accessible, concrete resources for folks developing and growing their own local economies. She continues to organize and invest in her local economy in Philly. In addition to radical investing and investor organizing, Poole creates comics and zines about Buddhist economics, Jewish economics, racial justice and wealth redistribution, and the intersection of economic and spiritual practice. Her comics have been published in Jewish Currents, Tikkun Daily, Jewschool, and Not Your Mother’s Meatloaf.